With phishing attacks continuing to grow, you need to mobilize end users to defend your organization. The PhishMe Certification program will provide you with the knowledge to build, run, and sustain a successful anti-phishing training program. Specifically, you’ll become an expert at using Cofense PhishMe to condition employees to recognize and report suspicious emails. Changing employee behavior requires more than knowing how to launch a phishing scenario, though you will learn that too, and much more. For example, you’ll discover how criminals target your employees with the latest phishing and malware threats, and how to mirror emerging threats in your training. Cofense PhishMe is an award-winning SaaS-based product. Gartner named Cofense a Leader in the Computer-Based Security Awareness Magic Quadrant. Now we’re offering customers the opportunity to get Cofense PhishMe-certified. PhishMe Certification consists of three main modules. There are multiple areas of study within each and various assessments throughout the program. In addition to becoming a pro you may earn CPEs for your respective certification(s) by self-reporting to third-party organizations such as (ISC)² for review after you complete the course. Bookmarking will record your activity progress, so you can return and start where you left off. Once you have successfully passed all assessments, a certificate of completion will appear below the modules. During the Application module you will receive an overview of the Dashboard and Cofense Community resources. You will also get in-depth knowledge on launching a campaign, reporting, and analytics. You will learn how to edit scenarios, including details on creating and administering scenarios and providing relevant user education. Expand your expertise in identifying phishing and other attacks. Cyber security threats are constantly evolving with new techniques and attack vectors. Until technology can solve human susceptibility to social engineering, the best defense is to condition employees to detect and empower them to report these threats. The expertise in this module will help you develop effective simulations and educational content. Apply best practices for running an anti-phishing behavioral conditioning program regardless of your company’s current phase. Cofense has worked with more than 50 percent of the Fortune 100 as well as SMB’s. We have trained over 27 million end users across 160 countries. In this module, Cofense will share with you best practices learned through years of hands-on experience. Why Cofense PhishMe and PhishMe Certification? With over 27 million employees trained in 160 countries, Cofense PhishMe reduces the threat of employees falling victim to advanced cyber attacks by up to 95% – preparing your last line of defense to recognize and resist tricky phishing attempts. By completing our industry-first certification program, you will gain the knowledge to run and report on the best possible security awareness program for your business. To get certified, get started with Cofense PhishMe today. Current Cofense PhishMe Customers: Cofense PhishMe Certification is included with your license. To get started, log-in to PhishMe and register via Community. Want more information? 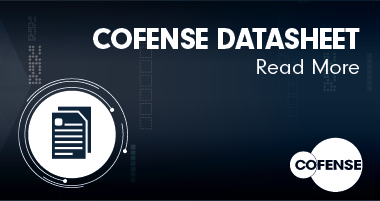 Download the Cofense PhishMe Certification datasheet. Cofense named a Leader for second consecutive year.